It has been a while since our last software report here at APH Networks, with the most recent being the Photoshop and Premiere Elements 8 article back in January of this year. With Christmas just around the corner, students are finishing up their exams for their respective courses, and of course, people in the workforce getting a well deserved break from our daily routine. From Christmas shopping to family dinners, this is going to be a hectic but ultimately enjoyable time, one way or the other. For those who want to do some last minute shopping, many stores are now open 24 hours to better serve customers. On the other hand, why anyone would want to go to the local grocery or department store at 3AM in the morning is beyond me, haha. It is almost 2011; in these modern times, one can simply buy things online and have the merchandise shipped to their recipients directly, so why not do that instead? To very loosely link to our report today, since our Editor-in-Chief made me write this pretty much last minute, and since I can't think of a better introduction, you can buy your friends *ahem* software such as what we will be taking a look at today -- rather than, say, a bag of apples from Safeway. What better way is there to finish off the year than the way we started it off, by taking a look at the latest iteration of Adobe Photoshop Elements and Premiere Elements? This version of Premiere Elements is actually the 7th edition, but since Adobe has decided to sync the version numbers of both programs together, both current versions are labeled as '9', following the preceding numbering scheme. As there are no fundamental changes to PRE/PSE8, I will just go over the new stuff, and see if it is worth your money. 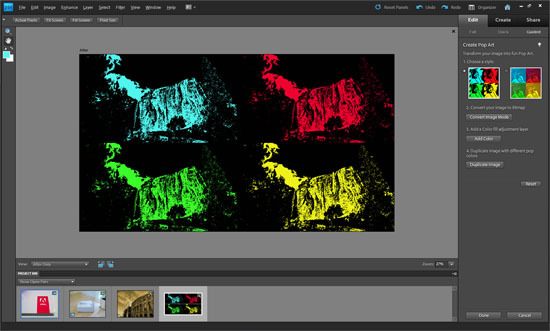 As aforementioned, since we have already taken a look at Adobe Photoshop Elements 8 & Premiere Elements 8 before, we will just highlight some of the more interesting updates to this version. Usually at APH Networks, we begin with pictures of the shipping packaging followed by the retail packaging. Although we received a digital copy this time, we are not about to change that tradition. So we came up with the image you see as shown. Get it? Haha. 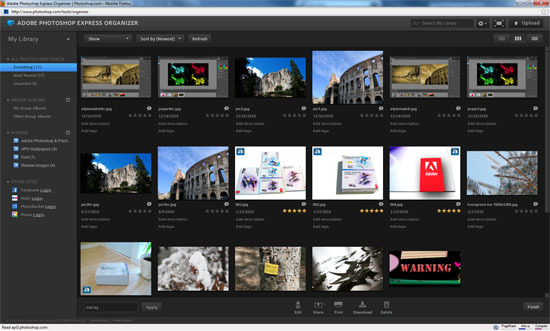 Other than that, I would like to point out that all the pictures used to demonstrate the new features are found in the press kit provided by Adobe. 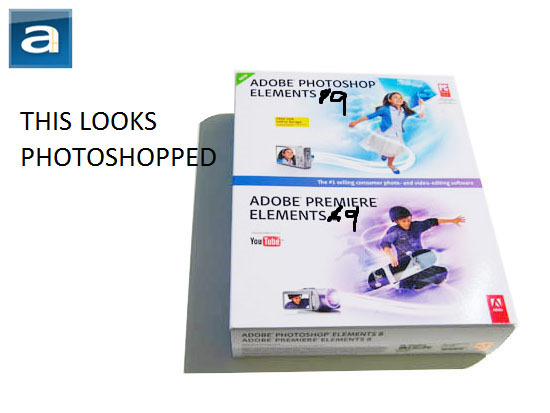 With that aside, let's start off with the latest features of Adobe Photoshop Elements 9. The first new feature we will touch upon is called "Style Match", which converts any picture or photo just like the one shown above, to have the same style as the style image. This technique is very simple to use, as it is one of the guided activities under the Edit tab that can be used for most photos. This feature further enhances Photoshop Elements' previous Photo Merging element, and adds a fresh new take to many pictures. As stated before, the process is very simple, as it is one of the guided edit activities in Adobe Photoshop Elements 9. It can be found under the Edit tab on the right sidebar. Here you can find options including three sliders for style intensity, style clarity, and enhance details; followed by a style eraser and painter to apply style to specific portions of the photo. Another slider is present to soften stroke edges. Finally, we can find a checkbox for transferring tones, which we selected in order to get the color to apply to our demonstration photo. On the left side of the work area is a place to put the reference style image; just drag any image located at the bottom into there, as shown in our screenshot above. 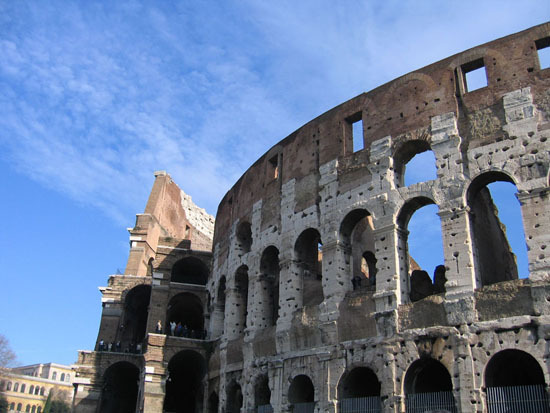 Additional images can be added by the user if they ever want a different style to their photos. For demonstration purposes, we used a stock image to show this feature. This reference style image on the left is a good old Wild West scene. To the right is the final product after the effect has been applied to our original photo. New effects added to Photoshop Elements 9 include Pop Art, Reflections, Portrait Effects, and LOMO Camera Effects; just to name a few. The one I found most interesting was the Pop Art effect. Pop Art takes an original image and changes it into a different type of stylized artwork by colorizing it and tiling four copies of it adjacent to each other. 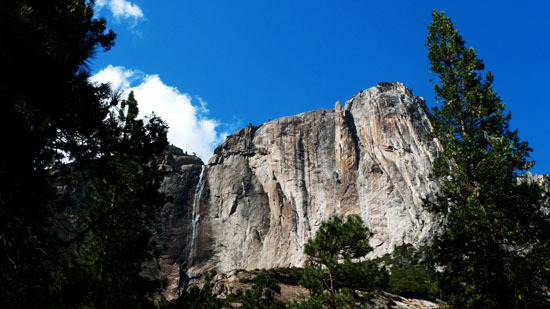 My example uses a photo of a mountain range. Similar to the aforementioned Style Match feature, it can also be found under the guided section of the Edit tab under Fun Edits. To do what I have done, Adobe brings the user through the Pop Art process by first selecting the type; which is either a colorized image that uses black to shade out the photo, or to create a fully colorized image. For this example, we chose the first style, and came with some pretty good results. The second step is to convert the image to a bitmap, and that is as easy as a click of a button. Afterward, a color fill layer is added. This can also be executed by clicking the Add Color button. Finally, a button is available to automatically duplicate, color, and place the image in the order as seen in the above screenshot. With these simple steps, it enables users to create highly stylized images that can be used as a profile picture for social networking websites such as Facebook. Speaking of Facebook, which is also a new feature under the Share tab using Adobe's Organizer to automatically upload photos and pictures to popular websites such as Facebook and Flickr. This, of course, requires an account association to Facebook or Flickr for it to work. Another new feature under the Create tab is the ability to create calendars, cards, and photo books. This is implemented on top of previous features such as the Photo Collage and CD/DVD Labels from the eighth version of Photoshop Elements. Next up -- you guessed it -- is Premiere Elements 9. Some of these new features include an enhanced audio fixer, new video effects such as the Cartoon Effect, and a way to create DVD-like menus for online viewing. These are the main new features, but some old ones have also be enhanced, such as the ability to optimize videos in HD formats along with new transitions and effects for more dynamic videos. The feature we chose to showcase is Premiere Element 9's Cartoon Effect. To apply, it is as easy as dragging the effect onto the current video to have it done throughout the whole clip. In order to better display this feature, we have uploaded a video to demonstrate how well it works. It isn't exactly perfect nor does it look too much like a cartoon in my personal opinion, but with some slightly more optimal conditions other than driving a car around town, it might be easier to see the cartoon effect. In our demonstration clip, there are some parts that do work quite well, such as the signs that are passed by along the way. The rest is up for you to judge. 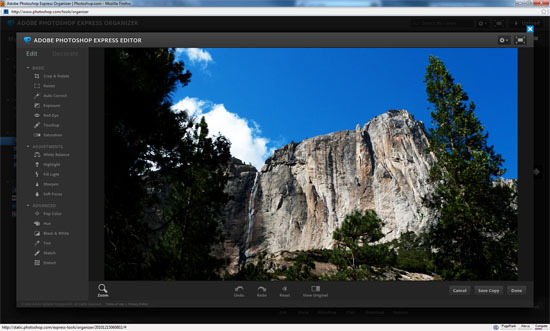 Adobe's Photoshop.com online application complements the desktop Photoshop and Premiere Elements software suite. It is free to use, but a subscription increases your available online storage to 20GB, and additional resources and tutorials become available to be streamed to the desktop application. This also received a revamp, and has some new features with a slicker interface to boot. The main library where uploaded images are stored is now in its own window. On top of that, there are more social networking and picture hosting features, such as uploading to Facebook, Flickr, Photobucket, and Picasa. The main library is composed of images uploaded from anywhere. Albums are now more streamlined for easier editing and file addition. This makes it easier to access pictures and videos while on the go, or even to share with other users anytime. More and more things are being moved into the cloud, and photos and videos should be no different. The editing section has also been streamlined, with its own pop up Flash frame. Standard functions such as cropping, resizing, auto correct are still here. Additionally, the Decorate tab has some newer themes and effects to apply to images. This online editing can be particularly useful in times when a user has no access to desktop Photoshop Elements or any other image editing software for touching up or editing photos quickly. Overall, the editing section for individual images has gotten better, and feels much snappier than its predecessor as well. So how much has Adobe Photoshop Elements 9 and Premiere Elements 9 changed from the last revision? In a sense, I would say this is just an incremental update with no major changes in particular. It has definitely been more refined, however. There are newly added features such as Style Match for Photoshop Elements, and some Cartoon Effects for Premiere Elements are among the highlights. These features are not necessarily essential per se, but could be worth a try, since there is always the trial version of both Photoshop Elements and Premiere Elements. If the new features and program optimizations mean a lot to you, the upgrade is probably justified -- otherwise, if you are just a casual user, then you probably won't find it wise to cough up the cash if you already own Photoshop Elements and Premiere Elements 8. For new users looking for a good hobbyist photo/video editing package on a budget, it probably won't get much better when the whole set can be purchased for only $99.99 after rebate at press time. 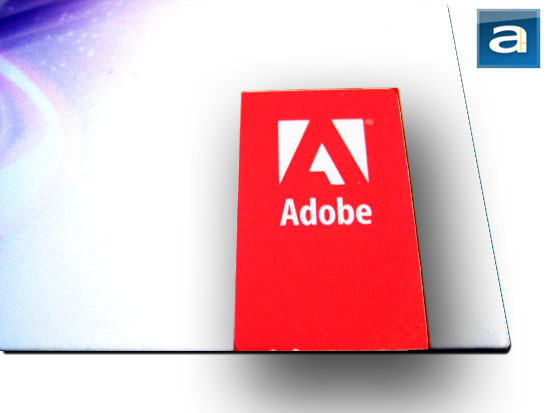 Adobe provided this software package to APH Networks for the purpose of evaluation. 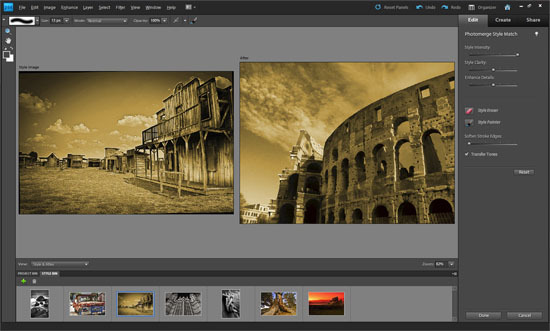 Adobe's latest edition Photoshop Elements and Premiere Elements 8 is an incremental step up from its predecessor. Carrying an attractive price tag, it is worth a shot for touching up photos with ease, and/or casual enthusiasts looking for a moderately powerful video editing program on a budget.